Usually abbreviated BPPV, this is an example of a balance problem with no hearing loss. It causes sudden, brief spells of vertigo (a false feeling of spinning) and may be triggered by certain head movements. What causes BPPV? The two pouches in your vestibular system hold a gel filled with crystals. These crystals react to gravity and help you understand when you’re speeding up and slowing down. But sometimes a crystal gets loose and floats into one of the three bony canals. When enough of these crystals end up in a canal, the fluid in that canal doesn’t flow as it should, and incorrect balance signals get sent to your brain. Because this doesn’t involve your cochlea, it doesn’t affect your hearing. Ménière’s disease is an example of hearing loss and balance problems that are often related. In fact, those are the chief symptoms — hearing issues in conjunction with balance problems. This condition results from a buildup of endolymph, a fluid that fills the chambers and tubes of your inner ear. The increased pressure from the buildup confuses the hearing and balance receptors throughout, resulting in incorrect signals getting sent to the brain. Many things lead to hearing loss. Many things lead to balance issues. 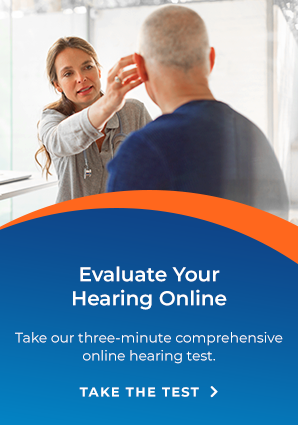 As specialists in all things inner ear, we are uniquely suited to consider all your symptoms and determine which parts of your inner ear are causing you trouble. If you’re worried about a balance problem — yours or a loved one’s — contact us today to schedule a consultation.